Unfortunately, no matter how well you look after those pearly whites, a cavity is sure to present itself at some stage or another! 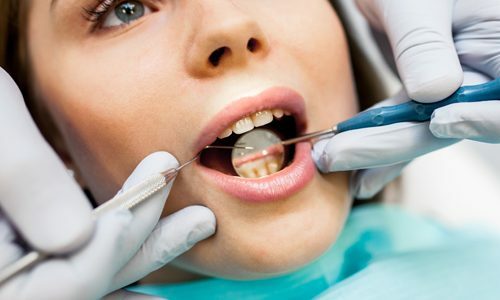 Luckily, when looking for restorative procedures and fillings in Peterborough, look no further than Dr. Ralph Bastian. With over 30 years of experience and a focus on all restorative procedures, from composite resin fillings to crowns and fixed bridges, he has what it takes to get your teeth back into tip-top condition. Dr. Ralph has experience in placing virtually all types of white composite resin fillings. White composite resin fillings are a mixture of resin and ceramic. It is used in both cosmetic dentistry and to repair decayed teeth, therefore restoring tooth function and return a life-like appearance of the teeth. When it comes to crowns and fixed bridges, Dr. Ralph has experience in complex multi-unit prostheses which can restore function and appearance. Dr. Ralph is proud to offer a customized approach to all clients, especially when it comes to partial denture design and fitting. What sets him apart is the detailed lab prescriptions that produce the precision-made chrome cobalt partial dentures. He also offers relining and repairs of partial dentures, as well as free ultrasonic cleaning of all removable dental appliances. If you would like to learn more about dental restorative procedures and fillings or to book a consultation with Dr. Ralph Bastian, please do not hesitate to get in touch.